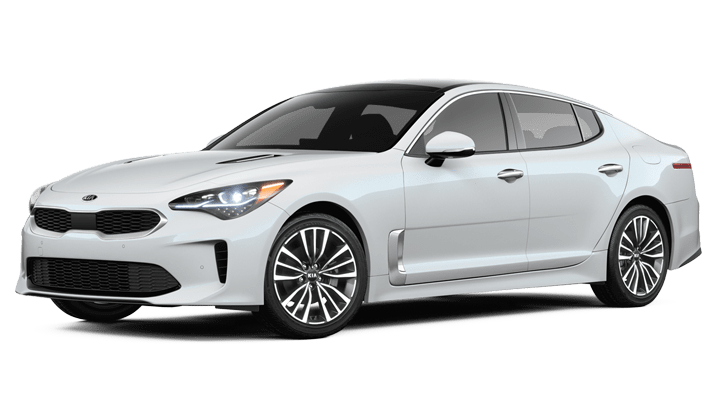 Elhart Kia now offers the exhilarating, finely-tuned, powerful 2019 Kia Stinger. Right now, you can stop by our Grand Rapids, MI area dealership to test drive the new Stinger for yourself and to check out all of its outstanding features, such as its bold body, heavy-duty engine and striking interior. When you're ready to up your road-game, simply contact our team and we'll match you with the perfect 2019 Kia Stinger for your needs! Rev your engine and let everyone in Grandville, MI know you're coming in your 2019 Kia Stinger. This exciting beast of a car goes from 0-60 MPH in 4.7 seconds. Yes, you read that correctly. With up to 365-HP and 376 lb.-ft. of torque, the 2019 Stinger blasts off the starting line and doesn't let up as it demolishes the competition. Can the BMW 440i Gran Coupe do that? Nope. What about the Audi A5 Sportback? No way. The Porsche Panorama RWD V6? Still no. See, the Kia Stinger GT is in a class by itself, leaving the others in the dust. Get ready Hudsonville, MI – the 2019 Stinger is coming your way and it's ready to impress. It sports a sophisticated body with lines that make the car appear in-motion, even when it's standing still. And as for the interior? Well don't you worry. The interior is rocking a racing-inspired look that lets your passengers know your car is far from ordinary. But really, when a ride looks this good, can you even still call it a car? Perhaps it's better to refer to the 2019 Stinger as a pure work of art. Let's crank up the fun in Zeeland, MI with the 2019 Kia Stinger. With your new sports sedan, you can enjoy Kia's UVO service, a smartphone integrated app that tracks your parking location, driving habits and more. You will also be able to enjoy the Stinger's 7-inch TFT display that monitors your G-force rating. Cap all that off with a shift-by-wire (SBW) gear control and you've got a monster of a cool car at your fingertips. The only question is – where will you go? 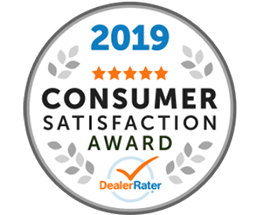 It's not just Holland, MI that's excited about the 2019 Kia Stinger. It seems the whole country is getting in on Stinger-fever. Maybe that's because of the great auto-industry reviews, or perhaps its due to the way the Stinger makes you feel connected to the road. Whatever the reason, the 2019 Kia Stinger is a sight to behold. Ready to get yours? Use our auto loan tools to apply for financing, then head into our dealership to test drive your new Kia Stinger today! Elhart Kia is here to get you into a sporty new Kia Stinger right now. Enjoy this luxurious and bold 2019 sedan at our dealership and we'll work to get you the best price we can so you can drive off ready for adventure in your new ride!